Our organization engaged in offering an extensive array of Quartz Round Flask, which are made by using very superior and premium grade raw material. 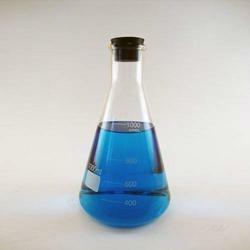 We offer this Quartz Round Flask in various specifications and dimensions. 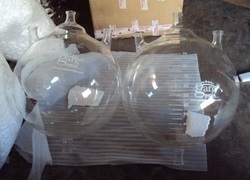 These Round Bottom Flasks are widely available in at industry leading prices. For more details refer to the attached document. We have marked a distinct and dynamic position in the market by providing a high quality array of Multi Neck Flask.